Americarpet proudly introduces our luxurious Leather Floors. These elegant floating floors are beautifully sophisticated, and remarkably durable. They are made from real bonded leather featuring many exotic patterns and rich colors. Our stylish leather floors also boast a green story. The leather is a by-product of the food industry as well as the leather industry. These chrome-free recycled leather strips are expertly bound with natural latex to form our top layer. The top layer is then coated for durability with an innovative water based polyurethane finish. Our center layer is FSC certified High Density Fiber board. The underlayment layer is our eco friendly cork, which possesses many natural benefits. All of the above provides an excellent solution for a beautifully unique floor while respecting our environment. Leather is one of the last flooring options people may think of, but it shouldn't be discounted for your home--nor as a candidate for the best flooring list. Leather flooring comes in tiles of varying size, and can be laser-engraved by the right manufacturer for an extra fee. Leather flooring is one of the few flooring options you'll see where a weathered patina is a desired effect. The more traffic, the better, like an old leather jacket. Because leather floors have natural water resistance, they hold up well to moderate amounts of moisture. It should be noted that standing water should still be cleaned up because the tile seams can allow water to infiltrate. Leather flooring feels the way one would imagine: exotic, sensual, warm in the winter and cool in the summer, warming to the touch. 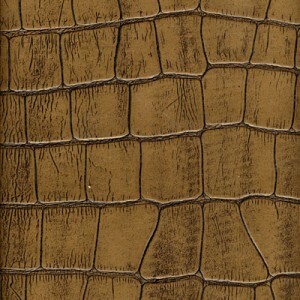 And no, leather doesn't just come in cowhide-brown color; it comes in more colors than you may imagine.